Gov. 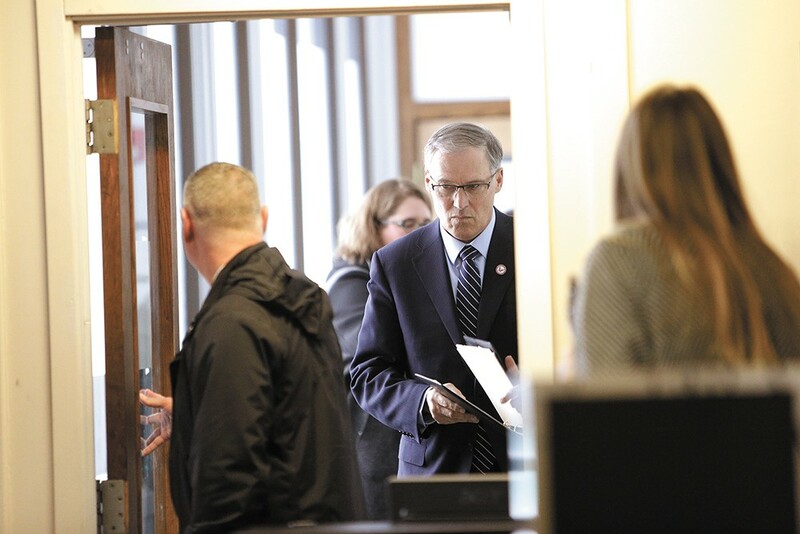 Jay Inslee plans to champion clean energy during the 2019 legislative session. NEWS: A bill to get Washington state to 100 percent clean electricity by 2045 passed the state Senate and has been sent to the House. The measure is one of the major climate priorities set by Gov. Jay Inslee and a coalition of environmental organizations. NEWS: With temperatures dropping into the single digits, Spokane's warming shelters are seeing more people opting to stay inside overnight at the emergency locations, with some adding staff members to help with the increased need. With just enough players to start a game, and no substitutes of any kind, Mullan managed to pull off an entire basketball season, the Spokesman-Review reports. One of several tornadoes that tore through communities in the South has killed at least 23 people, making it deadlier than all tornadoes in the U.S. combined last year, Slate reports. The Ada County Coroner's office is running into a problem: with an increased need for their services, the office could soon be tasked with storing more bodies than it has space for, the Idaho Statesman reports. A cold storage facility in Peshastin went up in flames Sunday, prompting officials to issue a precautionary water boil advisory until they know whether the firefighting work affected water, the Wenatchee World reports.